How does a family function? How does a family make a distinctive life of its own while living according to the values of society? In what ways is a family a unit when all its members have personalities of their own? How can we understand diversity among families? Robert D. Hess and Gerald Handel sensitively explore the dynamics of family life in five narrative case studies. The Clarks, Lansons, Littletons, Newbolds, and Steeles are all "typical" families with representative social, cultural, and psychological problems. 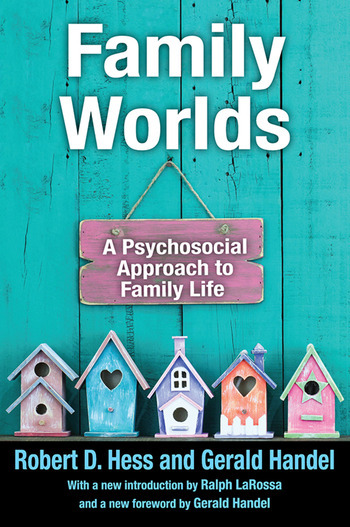 By simultaneously studying each family as a small group and as a set of individual personalities, the authors have captured the interplay between personality and family as each group works out its own special way of coping with its problems. Further, they have formulated several principles of family functioning that help focus comparison. Family Worlds was the first, and is still one of the few studies, to interview each member of the family, giving equal weight to children as well as to adults, so each family member's perspective is factored into Hess and Handel's family portraits. A new introduction to the Transaction edition illuminates just how significant this ground-breaking study still is today and highlights the new implications it has for today's families as well as emerging approaches.